[Android] Post Bugs/Features Here - Page 5 - Welcome to TVPaint Community forums ! The long click works on the Note to bring up brush edit options but it would be very useful if long click could also bring up the options we would normally get with right click (such as right click on timeline to see the menu options ) I hope Ican find a blutooth keyboard and mouse which will work with TVPaint on the Galaxy Note to restore many of the functions I take for granted , but now sorely miss when using the tablet. I can confirm other Wacom pens indeed work with the note 10.1, although not all of them. There is something about pen compatibility on their site http://www.wacom-asia.com/aptky/607/pen.htm." onclick="window.open(this.href);return false;. Are there any Wacom pens known for sure to work on Galaxy Note 10.1 ? I could not tell from the linked article what that had to do with Wacom pdns which will work on the Note , but maybe I missed something ? So far I am loving the feel of drawing in TVPaint on the Note but I sorely miss my Wacom pen buttons for Undo and Right-click (and I miss the eraser end). If anyone can confirm any Wacom pens working on the Note with TVPaint I would be grateful to read of it ( include the exact model of Wacom pen , please) . Are there any Wacom pens known for sure to work on Galaxy Note 10.1 ? any TabletPC wacom pen should do the job. It arrived this morning and I've tried it now , but I am disappointed to report that the Eraser end of [url=tp://www.amazon.com/Penabled-Tablet-Pc-Erase ... 000085BDB/]this model[/url] of Wacom pen is NOT recognized . (not in TVPaint, not in Sketchbook Pro, not in Photoshop Touch) . There's no control panel for adjusting the pen in the Android Settings so I think from what I've been reading on the Android developer forum that each individual app has to be programmed to accept input from the Eraser of a Wacom pen. Same results with the side button on the pen: it doesn't appear to have any functionality . The other thing I notice about this Wacom pen is that the calibration is slightly off-set , so the line is not as accurate as when using the original S-Pen that came with the Galaxy Note. It's not so bad that it's unusable , but would take some adapting to account for the slight off-set. Again, because there is no control panel to adjust the pen there is no way to adjust the calibration. I think have to give up on the old habit of using a pen with an Eraser tip and stick with using the original S-Pen that came with the tablet. (however, I do prefer the length of the Wacom pen. It feels better in my hand than the tiny S-Pen ) I made a custom button for my Tool bar that toggles from "erase" to "get previous tool" , so that seems to be working . I may have posted this before , but I also did a test with the Wacom stylus from my son's Modbook tablet . It works fine to draw in TVPaint , Sketchbook, and Photoshop Touch, but the ERASER end of the Modbook stylus is only recognized in Photoshop Touch, but not in TVPaint or Sketchbook. So this tells me it's not an inherent limitation of the tablet . The Galaxy Note tablet can use the eraser end of a Wacom pen, but the app has to be programmed to accept the input. The Penabled Samsung replacement pen I ordered from Amazon yields the same limited functionality when used with the current TVP Android Beta. the side switch doesn't work... exactly like the native S Pen. Likewise the eraser/switch does nothing. However, in the PS Touch app, the eraser and side switch function as expected. The touch/feel is excellent. The Samsung replacement pen is a well-built, comfortable pen to use with the GNote10. The touch/feel is different from the S Pen in several respects: Unlike the S Pen which provides a slight resistance in its tip, the Samsung replacement pen tip is hard nylon, feels slippery on the glass surface. Also, the pressure curve is different too, lines get heavier more quickly. Using the pressure profile curve for tool size and opacity in TVP Beta, this preformance can be precisely adjusted and controlled. Also, I've turned on the proximity cursor for the stylus (which is a dot) and was happy to find that the Samsung's pen-point registration is dead-on true just like the original S Pen. What's really needed though is a pen performance editor like those for pens on Intuous tablets and I hope that the next Android OS update for S Pen products provides that option. Tuning the feel of the stylus would be a welcome refinement for any GNote10 artist/user. So. Until the next Beta release, we'll just have to work around the missing RMB (side switch) and Eraser functionality. Even without it the current TVP Beta is a joy to use. please let Hervé or someone else here take the time to finish his current dev task, and look at it more deeply. Again, because there is no control panel to adjust the pen there is no way to adjust the calibration. Hello there I'm new here and I have to say that I love this program!! At first it looked intimidating but I'm getting the hang of it. But of course, since it is in BETA phase it has some bugs...to me the most difficult to deal with is that when I use the virtual keyboard (I'm using Samsung Galaxy Note 10.1 Android version 4.1.2 Jelly Bean) it freezes when I press the *keyboard lowering* button. Other than that I think it works pretty well. Edit: Oh and sometimes it "Force Shutdown"s itself after some time of use for no reason. Over the months of using the Beta version I've developed and imported a large number of custom buttons and scripts which make it much more versatile and easy to use (functionally close to my PC installation). Recently, I've been experiencing screen-blackouts where TVPaint disappears and I'm thrown into a dark-screen limbo. I have no similar problem with any other Tablet apps so I'm pretty confident the problem is not with the tablet. I'm going to try a clean reinstall of TVPaint Android Beta without all the custom panels and work with that for a while to see if the blackouts go away. All the customizing on top of a beta app just might be more than the poor tablet can manage right now. Has anyone else using the GNote10 with the TVPaint Android Beta experienced a similar temporary blackout? Hello, I've got the last vversion of tvpaint on my note 10 but every time i rotate the screen the app crashes. What is your android device ? SinusMagnus wrote: Hello, I've got the last vversion of tvpaint on my note 10 but every time i rotate the screen the app crashes. 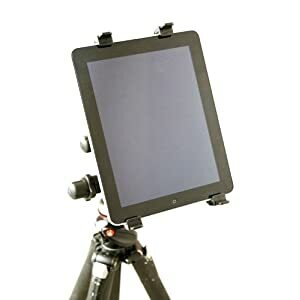 I've got the same setup as you I think: Galaxy Note 10 with the latest version of Android TVPaint, rotating (and resetting) the screen with no problem, using the menu options and using the interface rotate button. Just updated to the new beta and I'm also crashing when I rotate the screen. TvPaint works perfectly in portrait, but when I rotate the screen it goes black and then goes back to the "desktop". I'm using the Galaxy Note 2, previous version had no issues. Also is there any way to lock TVP to landscape mode. I rarely use anything else, and it often changes orientation without me actually wanting it to. I realise this is an android function, but I can only turn rotation off in android in portrait orientation. As an aside, if you get the audio working, this would also be the best video editing program on Android. I use galaxy note 10.1 with android 4.1.2 updated with Samsung Kies. JohnArtbox wrote: As an aside, if you get the audio working, this would also be the best video editing program on Android. And get the Galaxy Note's camera to talk to TVPaint Video Input frame grabber and it becomes a good Stop Motion tool (or pencil test video grabber for traditional animation). Also I think some tablets can be used to control a Canon DSLR camera . If the image that is seen through the Tablet could be used by TVPaint's Video Input with Mix (onion-skinning) to see the previously captured frames which allow the animator to gauge how far to move the stop-motion puppet on each subsequent frame, while at the same time capturing a high-res. image on the Canon DSLR being controlled by the tablet , then it would be an easy matter to then import the high-res. capture from the Canon DSLR's memory card to the Android tablet and bring those high-res. captures into a new layer in TVPaint (on top of the layer of lower-res. images captured through the tablet) and then the high-res. captures become the final stop-motion movie. Is this possible ? I don't know . But something to think about .